To ensure that our clients have access to a wide selection of resources necessary to make prudent business decisions Caine & Weiner has aligned itself with strategic business partners who share the same core values. Each alliance partner exemplifies the highest ethical business practices and provides services our clients know they can depend on. The combined services available through the Caine & Weiner alliance partnerships encompass risk management resources, collection services, education and certification. credit reports, electronic funds transfers, international investigations and more. Global Credit Solutions GCS, arguably the top provider of debt recovery and credit resources in global commerce, maintains a world-wide network of collection agencies linked together in a global partnership. Their collection resources and data bases are pooled together to provide 3rd party collection assistance in 90 countries. In addition to their debt recovery resources they also provide credit reports and undertake international investigations for their clients. NACM Connect is a nearly 3,000 member, not-for-profit, member-owned and directed trade association focused on business credit, commercial credit and financial management professionals. 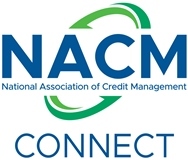 NACM Connect is an Affiliate of the National Association of Credit Management. NACM Connect is a not-for-profit, member-owned and directed trade association focused on business credit, commercial credit and financial management professionals. NACM Connect provides services and information to assist credit professionals in all facets of their work activities, including credit groups, credit reports, credit references, credit application processing, collections services, credit law, and more. In addition, NACM Connect educates its members in credit, collections and related matters while working toward the continuing professionalization of the credit management field. We are an Affiliate of the National Association of Credit Management. The Building Industry Credit Association, founded in 1903, actively serves its members, contractors and building material suppliers, by preparing and filing preliminary notices, mechanics liens, stop notices and other documents. BICA members also derive the benefits of industry seminars and workshops. On behalf of its members, BICA maintains an active role in the legislative process whenever mechanics lien law legislation is under consideration. The Wood Products Manufacturers Association (WPMA), comprised of 900 members is the leading Association of choice for the secondary wood products industry. The Westminster, Massachusetts-based association serves its members by promoting healthy, profitable business environments, controlled costs, educational opportunities to assist members in developing skills for more competitive business operations and other benefits. Are you interested in becoming a Caine & Weiner Alliance Partner? To discuss this opportunity, please contact Brad Schaffer, Senior Vice President – Client Services at 502-458-1604 x223 or email to [email protected].